Obituary for Kenneth Milton Thiel | Stone Funeral Home, Inc.
Kenneth Milton Thiel, 90 of Petoskey, died February 2, 2019 at McLaren Northern Michigan Hospital. Ken was born on December 18, 1928 in Flint, Michigan, the son of Milton and Delilah (Austin) Thiel. On August 14, 1948 he married Virginia Buss in Reed City, Michigan. Together, they raised two daughters. 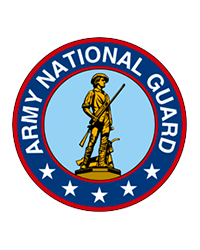 Ken proudly served in the United States National Guard. He was employed with Michigan Consolidated Gas Company for 35 years. Ken was always up for a round of golf in his spare time. Ken is survived by his daughters, Linda (Robert) Moore of Vero Beach, FL and Star Waugh of Petoskey, MI; grandsons, Michael and Brian Moore; brother, Keith Thiel of Highland, MI; and sister, Shirley Burwell of Theodore, AL. He is preceded in death by his wife, Virginia. A graveside service will take place at a later date to celebrate Ken's life. He will be laid to rest alongside his wife at Greenwood Cemetery.